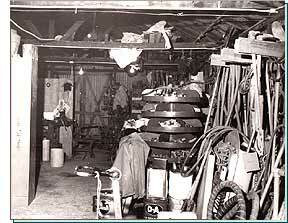 The origin of Carmichael Water District (District) dates to July 3, 1915 when the Carmichael Colonies Improvement Club appointed a committee to investigate the possible formation of an irrigation district to address the growing water needs of the Carmichael Colony. 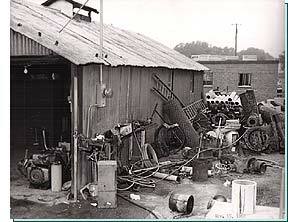 The committee hired Albert Givan, Sacramento Civil Engineer, to study the engineering feasibility of the projects. The result of that study was the formation of the Carmichael Irrigation District and the filing for a 15 cubic foot per second water right from the American River. The District held its first official meeting on February 8, 1916. The District was the first irrigation district established in Sacramento County under the Wright Irrigation Act of 1887. This lead the way for surrounding Colonies to pursue their own irrigation districts. 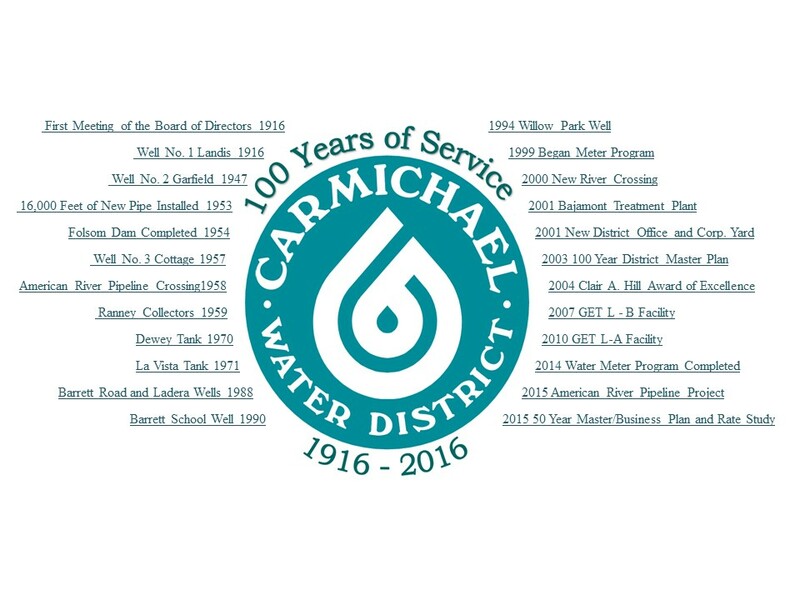 The District changed its name to Carmichael Water District in the 1980’s but remains organized under the laws governing irrigation districts. The governance of the District is through a five member elected Board of Directors with each director representing a division of approximately equal population within the service area. Today’s District has come a long way from servicing the original ten acre plots to now covering approximately eight square miles with a population of over 38,000. The District currently employs trained staff with the responsibilities of providing water treatment and delivery, administration, financial services, engineering, field operations, maintenance services, water efficiency and public information services to the District’s customers. Since its formation, the District has used several water supply diversions off the American River which have been modified and improved to become the current infiltration diversions feeding the Bajamont Water Treatment Plant (the main source of water supply for District customers). Groundwater was also developed by the District prior to World War II as part of a balanced conjunctive use portfolio management strategy and continues today with the District maintaining 8 groundwater wells. The District maintains over 154 miles of water lines and supplies an average of 2,940 million gallons of water annually to its customers. As an active member in the community, the District regularly engages in local, regional, and state water resource management activities, organizations, associations and Joint Powers Authorities. Without a safe and reliable supply of public water, the Carmichael community could not have developed into the great place to live, work and play as it is today. Looking forward, Carmichael Water District remains committed to providing the highest quality water for the lowest feasible cost and to serving our customers with diligence, efficiency, and integrity.